Confetti launchers launch a fun shower of confetti or streamers and make the perfect start to any party or celebration. Disposable confetti and streamer launchers are ideal if you’re planning a single event. If you plan lots of events, reusable launchers are the answer because they are refillable so you can use them over and over again. Here is a snapshot of our range. If you aren’t sure which confetti or streamer launcher will add the right level of pizzazz to your event, get in touch. Our confetti experts will be happy to advise! Flicker sticks are small handheld disposable confetti sticks, pre-loaded with multi-coloured confetti: perfect for parties. 30cm Hand Held Disposable Single Shot Confetti Launchers will fire confetti or streamers up to four metres. 50cm Hand Held Disposable Single Shot Confetti Launchers will fire confetti or streamers up to eight metres. 80cm Hand Held Disposable Single Shot Confetti Launchers will fire confetti or streamers up to 12 metres. Re-Usable Hand Held Confetti Launchers are hand held launchers that you can fill with the contents and colour of your choice over and over again. T Shirt Guns will shoot T shirts, confetti, stress balls, mini rugby balls, even cuddly toys over 90 metres into a crowd safely. Available in both single and multi-shot versions. 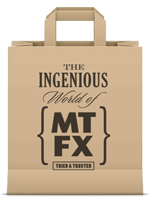 Contact the MTFX team to discuss which your Confetti needs.